Good news, everyone! Amazon is willing to scare you out of your pants for a significant discount. 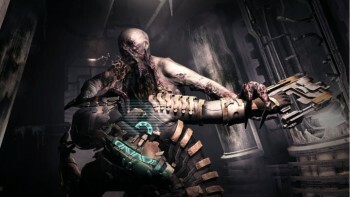 If you've been waiting for Dead Space 2 to drop in price before you picked it up, then have we got some good news for you. For today (and today only), Amazon has slashed the price tag for the game in every format. Amazon is currently offering the regular version of the game on PS3, 360, and PC at $39.99 ($39.95 for PC). Meanwhile, even the Collector's Edition of the game has been discounted to $59.95. If you pick up the PS3 copy, it will "include a free Move-compatible Dead Space Extraction (as all first-run PS3 copies do)." If you're a fan of survival horror games, or even just quality games in general, then you can't really afford to pass this deal up.